HTTP or HyperText Transfer Protocol is the underlying protocol used by the World Wide Web. It defines how messages are formatted and transmitted, and what actions Web servers and browsers should take in response to various browser and computer commands. Entering a web address or URL in a browser sends an HTTP command to the web server directing it to fetch and transmit the requested Web page. Hypertext Transfer Protocol Secure (HTTPS) is a combination of Hypertext Transfer Protocol (HTTP) with SSL/TLS protocol. It provides encrypted communication and secure identification of a network web server. 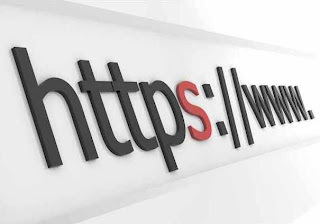 HTTPS connections are often used for payment transactions on the World Wide Web and for sensitive transactions in corporate information systems. Secure Sockets Layer (SSL) and Transport Layer Security (TLS) , are cryptographic protocols that provide communication security over the Internet. Dr Dan Page, Senior Lecturer in Computer Science in the Department of Computer Science at the University of Bristol, and one of the collaborative team, will present a paper at the RSA conference in San Francisco next week [Wednesday 29 February] about the EPSRC-funded research. Video: What is HTTP and HTTPS? Dr Dan Page said: "Our work suggests an underlying problem. With software and hardware playing increasingly significant roles in our day-to-day life, how much can and should we trust them to be correct? "The answer, in part at least, is a stronger emphasis on and investment in formal verification and correctness of open source software. Our research highlights the important role this topic will play for software engineers of the future."